Hello, my name is Donna Evanoika Mitchell. Here at Travel League, we are a full service license and bonded accredited and established travel agency in Colorado Springs, Colorado and I am President/CEO of Travel League Inc. Our first department was High Plains Travel Co. which was established in 1989. Since then, the company has expanded to include many different departments; High Plains Travel Co. which handles domestic and international travel for individuals, families, and groups; imtravel which handles Missionary and Non-Profit travel, Pastoral Study tours and Inspirational Journeys, and much more. Here at Travel League we are teaming up with you, acting on your behalf as and extension of your office, specializing in specific areas. Whether your travel is for “business or pleasure” we are always the travelers advocate and work for and with you. 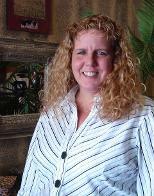 2009 marks 15 years for Jessica in the travel business as well as with High Plains Travel. Over those years I have worked as a front line agent and the agency Assistant Manager. My specialties include Disney, Alaska Tours and Cruises, and an expertise on Corporate Travel. My travels include Costa Rica, Fiji, England, Mexico, and throughout the United States including Disneyland, and Disney World. I have also been on a few spectacular cruises! I enjoy all types of travel planning and has put her hands and heart in many different destinations. Sarah has a teaching background in Australia and the U.S. which has enabled Sarah to communicate and educate our travel clients on the intricacies of unique itineraries and delightful destinations. Sarah is one of our international destination specialist in the areas of United Kingdom, Australia/New Zealand, Tahiti just to name a few. The domestic specialties she has incorporated into her travel skills include Disney, Amtrak, and much more. Cheri has traveled and lived in numerous international locations. Working with mission groups and important non-profit agencies involves delicate details and working within a vast scope of travel plans and international requirements on an ever-changing basis. Commitment to customer satisfaction and assistance throughout the complete travel process is always a top priority with Cheri. 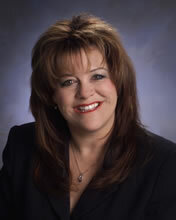 Rhonda has worked with High Plains Travel as an outside sales agent for numerous years. Her hands-on talent of knowing the ins and outs of each of hear destination specialty along with connections for the niche markets and off the beaten path places make her invaluable to anyone's travel experience.